The Atkins diet induction instructions may seem limiting at first, but it is important to remember the purpose of this phase. Induction is easy to stick with if you keep in mind that it isn’t the main part of the diet. While it is the part most of us think of when we talk about starting the Atkins diet, it is really only a small part of the program. The Atkins Diet Induction Stage is meant to get your body working in a new way. In fact, Dr. Atkins described it as a way to, “induce weight loss by changing your body’s chemistry so that you will achieve…lipolysis and the companion process of ketosis.” It is designed to “get the ball rolling,” and isn’t meant to be the focus of your long term weight loss. With this in mind, following the Atkins diet induction instructions become easier because you know it is only a small part of the diet as a whole and will last only a few weeks. The instructions are really very easy to follow if you keep a list of the acceptable foods handy and keep several things in mind that will make you successful. Never skip meals. Eat three regular meals with small snacks in between or have four or five smaller meals spread throughout the day. Eat plenty of proteins and fat from the suggested foods list. Dr. Atkins’ books contain plenty of Atkins Diet induction menus for suggestions. Never, ever go over 20 grams of carbohydrates during Induction. The carbohydrates you do eat should come mostly from vegetables and salad greens. This is one of the most important things to keep in mind during Induction. Eat NO fruit, pasta, grains, bread or dairy products other than cheese, butter or cream. Also no nuts or seeds during the first few weeks of Induction. Don’t eat anything that isn’t on the Induction food list. No cheating allowed at all during the Induction phase! Remember, you’re trying to reset your metabolism. If you cheat, you’ll take two steps back from one step forward. As your appetite decreases, pay attention to it. Eat less by eating only until you feel satisfied, not stuffed. Learn to read labels so that you don’t accidentally eat hidden carbs in foods, especially if you are eating prepared foods. Be aware when eating out. Gravy, sauce or salad dressing could contain sugar or starches. What you make at home following an Atkins recipe will be better, so when you eat out just skip these items. If you want a salad, vinegar and oil is a good choice. Don’t have drinks with aspartame as a sweetener. You should always use sucralose or saccharin. And remember, each packet is one gram of carbs! Cut out caffeine because it can lower your blood sugar. Drink lots of water. Eight glasses a day is ideal. Be sure you add fiber to your diet. Wheat bran, psyllium husks or ground flaxseed will help. If you follow these twelve basic Atkins Diet Induction instructions, your success is practically guaranteed. They aren’t complicated, but they are strict, so you should follow them to the letter. The good news is that once you’re through the Induction Phase, you will be able to move onto the Weight Loss Phase, which loosens up the rules a bit and allows you to add more foods. 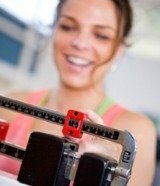 Just remember – Induction is the key to getting everything started on your weight loss journey.